WHAT IS IT? 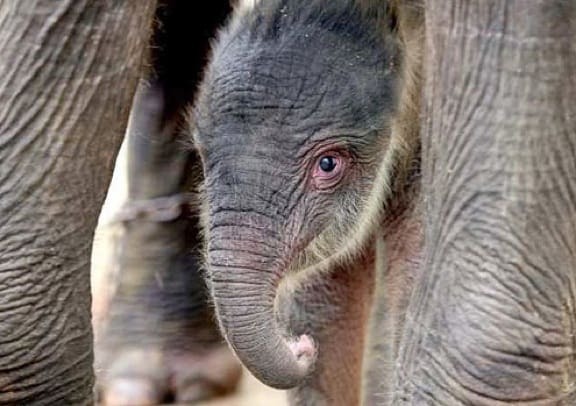 One of three subspecies of the Asian elephant, the Sumatran Elephant is found only in the Western Indonesian island of Sumatra. Generally smaller than African elephants, the Sumatran subspecies typically reaches a shoulder height of 6.6 to 10.5 feet, weighs between 4,400 and 8,800 pounds and can live up to 70 years in captivity. Females are usually smaller than males, with tiny tusks or no tusks at all, and the male tusks are not as long as those of other elephant species. But all of them are tallest at their heads, and have a finger-like shape to the tip of their trunk that they use to feed on a variety of vegetation, from bananas and ginger to bamboo and various vines. WHY ARE THEY ENDANGERED? To put it bluntly, humans. The Sumatran elephant was once widespread on the Indonesian island, with Riau Province alone estimated to have over 1,600 back in the 1980s. But by 2008 these majestic creatures had become extinct in 23 of their 43 ranges, with the Riau population down to a mere 350 elephants. 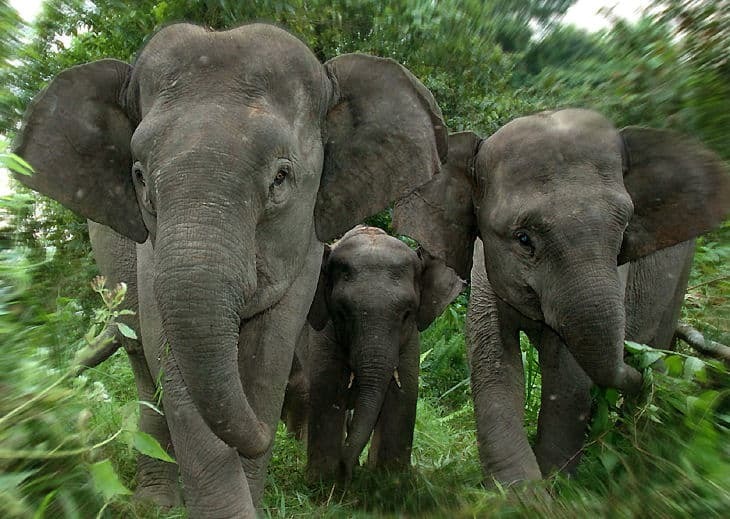 Some estimates suggest that over 80% of the elephants’ former forest habitat has been turned into plantations, which displaces populations and forces them to live closer to human habitat. As a result, death by poisoning is becoming increasingly frequent as farmers fight to protect their cultivated fields.